Each style is developed with specific wicking fabrics and closures in mind to create the lightest high-performing hats possible. OneTouch by Outdoor Cap is up to 50% lighter than traditional caps. 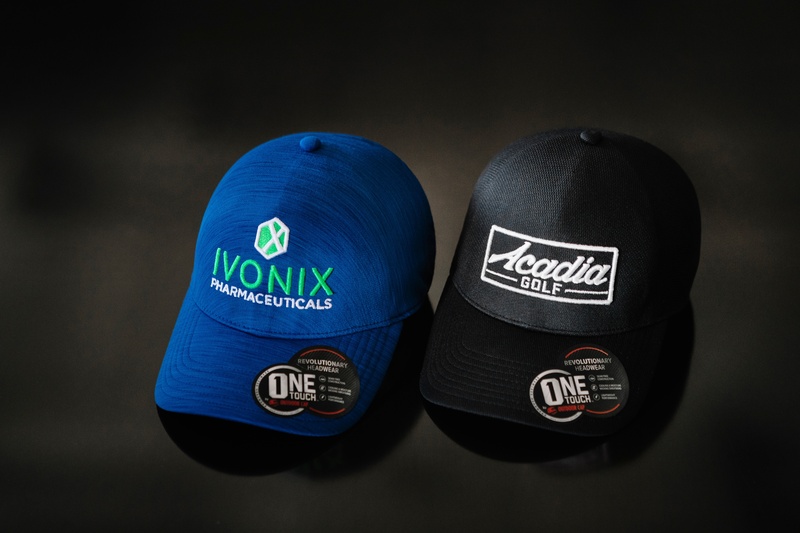 All OneTouch by Outdoor Cap products have an active cooling sweatband, Q3® wicking fabric, and a 3D welded Outdoor Cap logo. The cooling sweatband actively decreases in temperature when you sweat. Q3® fabric technology wicks moisture away from the skin and transfers it to the surface for evaporation. New manufacturing technology introduces us to the world’s first seamless crown. This gives you an even flex all the way around your head creating the perfect fit for everyone. OneTouch by Outdoor Cap is an innovative piece of headwear, unlike anything you have ever seen before. Sports teams and businesses alike will appreciate the high-tech seamless fit and style OneTouch provides. Having a piece of advertising as inventive and ground-breaking as a OneTouch hat will promote the brand that utilizes it as such. Companies will invest in cutting-edge apparel that will boost their reputation and awareness within the market. In this guide, we will look at different types of companies and businesses, so that you will have a better understanding of how OneTouch caps will benefit each. Next time, we’ll look at promotional sales to companies targeted at millennials and older generations. You will learn how to target and reach out to common decision makers in various businesses both small and large. You will also learn how to optimize sales among differing promotional product usage behaviors. Jobs within the technology industry have increased for five consecutive years. In 2015, the market reached a total of 6.7 million workers, more than the financial and construction industries. A total of 45 states saw increased job growth with California, New York, and Texas leading the charge. There are over 473,000 tech companies in the U.S. accounting for about 7% of the GDP. Promotional caps serve three distinct purposes for technology and startup companies. The education industry is said to be a recession-proof market. In the worst of economic times, after the 2008 crisis, the education market remained steady and even showed considerable growth, all things considered. The collegiate retail industry is estimated to be worth an annual $10 billion. There are over 2,600 colleges and universities in the United States, and they are a gold mine of promotional products. OneTouch by Outdoor Cap offers opportunities for schools of all levels from collegiate to elementary and everything in between. The U.S. media and entertainment industry is a $703 billion market comprised of business that produce and distribute movies, TV, commercials, streaming content, music, radio, books, video games, and more. It is expected to reach over $800 billion by 2021 according to PriceWaterhouseCoopers. OneTouch caps can be used to advertise and boost sales for all sorts of businesses within the media and entertainment industries. For more information on selling promotional caps into the automotive industry, order a Business Development Kit today. Check back next week as we dive into businesses targeted at either millennials or more mature demographics. What other industries would you like to see covered us cover in the future? Let us know in the comments below. Don’t forget to follow us on Facebook, LinkedIn, and Twitter.